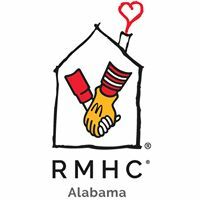 Ronald McDonald House Charities of Alabama – United Way of Central Alabama, Inc.
Our House provides a supportive home away from home for families and their children who are receiving medical treatment at Children’s of Alabama, UAB, or other area hospitals. We provide guest families with all the comforts of home – plus a local support network – so they can focus on their children’s healing. Without our House, families might have to sleep in the hospital lobby, a child’s hospital room or even in their cars, as most families cannot afford a hotel for weeks or months – especially under the financial stress of mounting medical bills. With diligence, integrity and compassion, Ronald McDonald House Charities of Alabama joins and aids families in their efforts to find hope, healing, happiness and growth, regardless of obstacles placed before them. Ronald McDonald House Charities of Alabama envisions a community where families never confront their challenges alone, but instead find comfort, encouragement and support in their quest for hope, healing, happiness and growth. Our House cares for guest families every night, providing them with a home away from home while their children receive medical treatment.